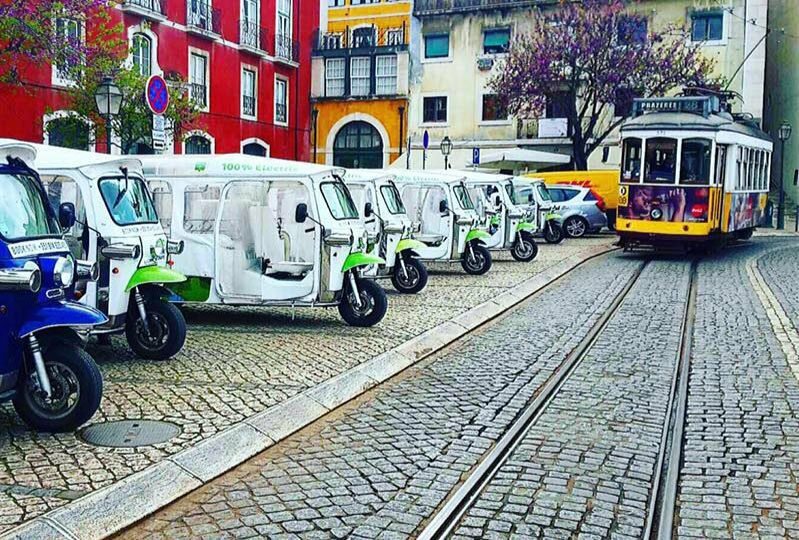 We are the Tuk Tuk Eco Tour Lisbon – an operator in the tourism sector which started its tour guide activity in Lisbon, using eTuks 100% electric. 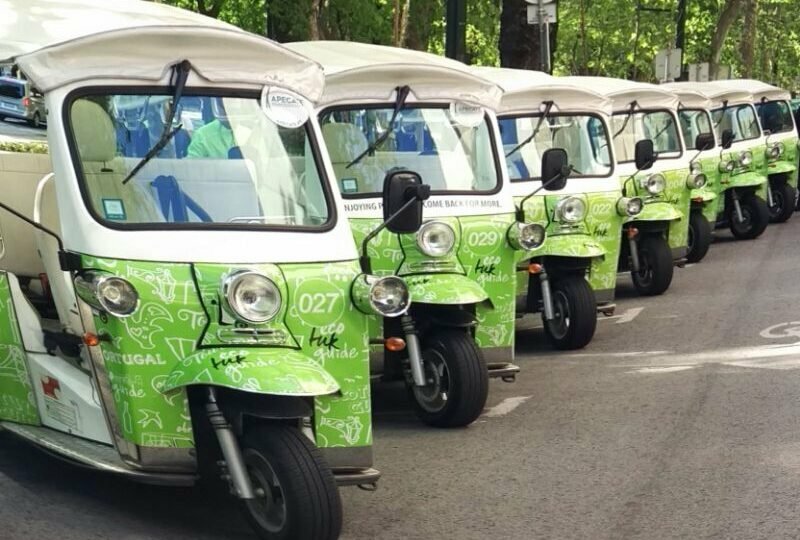 We combine the quality and the glamour of the vehicle, known as TUK TUK. We offer a guided service and advice to visitors, providing a complete experience, with comfort, safety and fun. 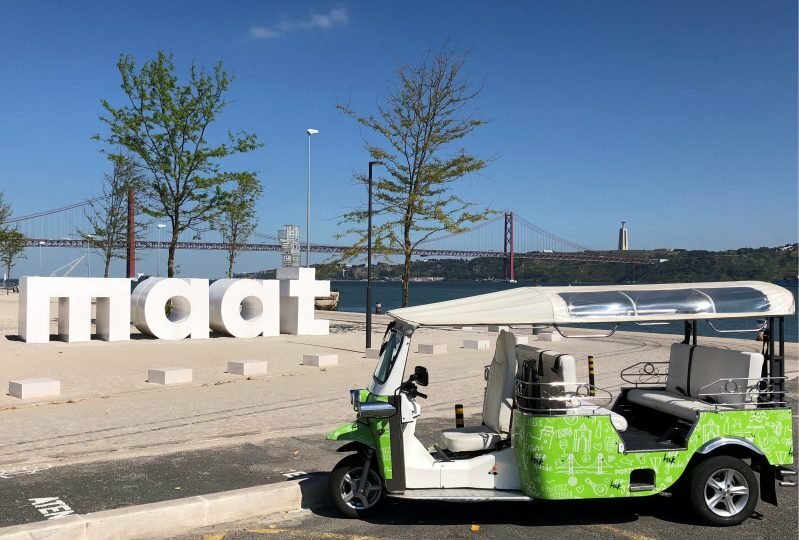 The TUK TUK can circulate through the streets of old Lisbon and its history, allowing the visitor to know less accessible locations, providing an unforgettable experience. No flip flops, please wear trainers or similar style of shoe, casual clothes. This route allows to know the Medieval districts of Lisbon. The passage in its labyrinthine streets, just within reach of a Tuk Tuk, and in typical style churches “Floor” is completed with stops at viewpoints and a beautiful view over the Castle of St. George. 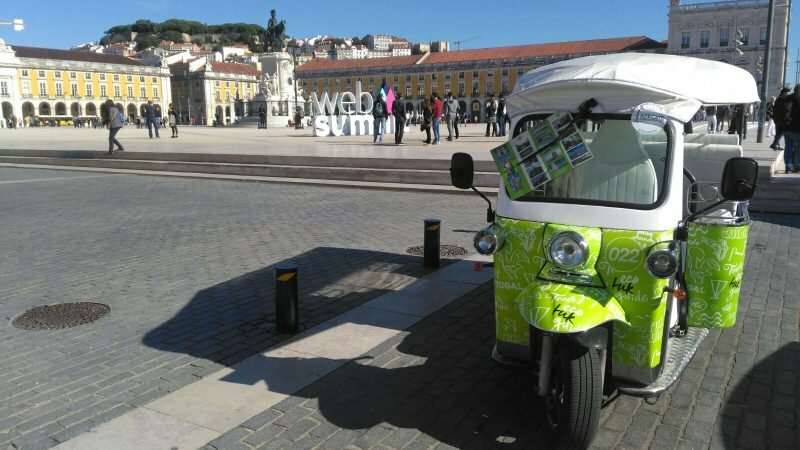 You begin the route in the Commerce Square, passing by the Parliament, the Basilica da Estrela and the Palace of Ajuda. Arriving to Belém, we see the Jeronimos Monastery, starting the Route of Discovery, which will see the emblematic monuments that recall the deeds of our sailors. Final destination, on arrival to the famous and tasty Pastéis de Belém, before returning to the center of Lisbon. 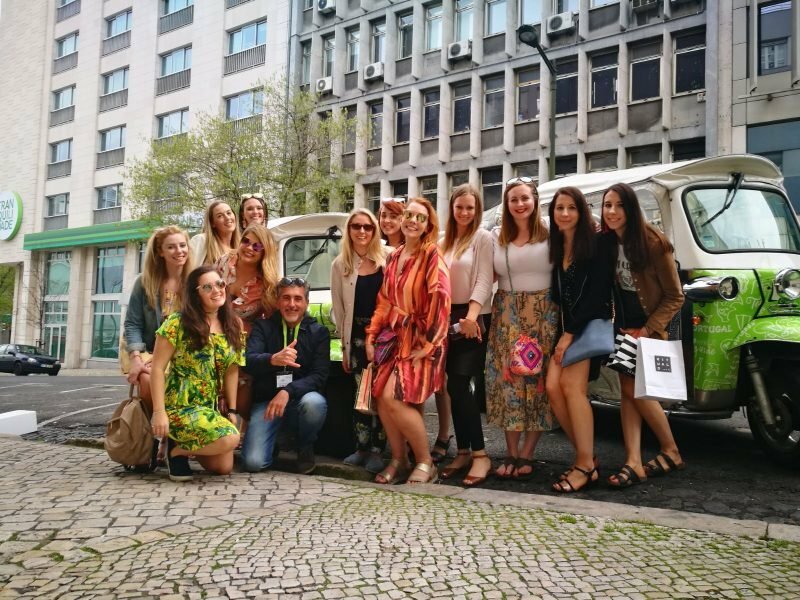 This Tour allows to know the Lisbon of the great bourgeoisie, with its beautiful churches (before and after the earthquake of 1755), Theaters, Opera, gardens and typical viewpoint of the nineteenth century.